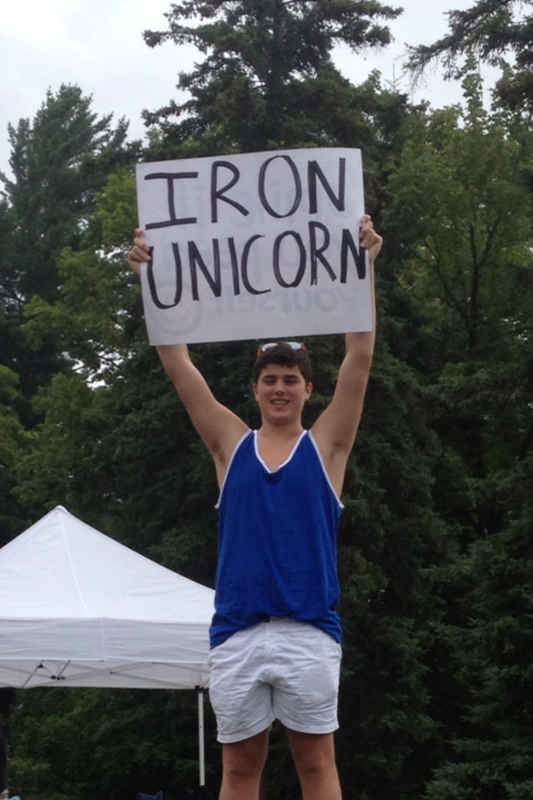 As every good spectator knows, your sign can make or break you as a “stand out IronSpectator”. I recently had the chance to spectate at Ironman Lake Placid — where five of my family members competed. At this event I brought along a few signs. These included “Smile if you peed yourself”, “Iron Unicorn”, and “Iron Chafing”. Now you might be thinking to yourself a few things: First, didn’t Caitlin Begg compete at IMLP? Yes, she did (she is my sister). Second, why was the Iron- placed before those words? If you have ever been in an Ironman or around an Ironman then you know how over used the word Iron- is. It is in front of everything. It is funny for the first two times and then it gets old. Instead of using it to promote YoungTri (IronYoungTri?) I decided to try to add a comedic element to signs and the Iron- community. 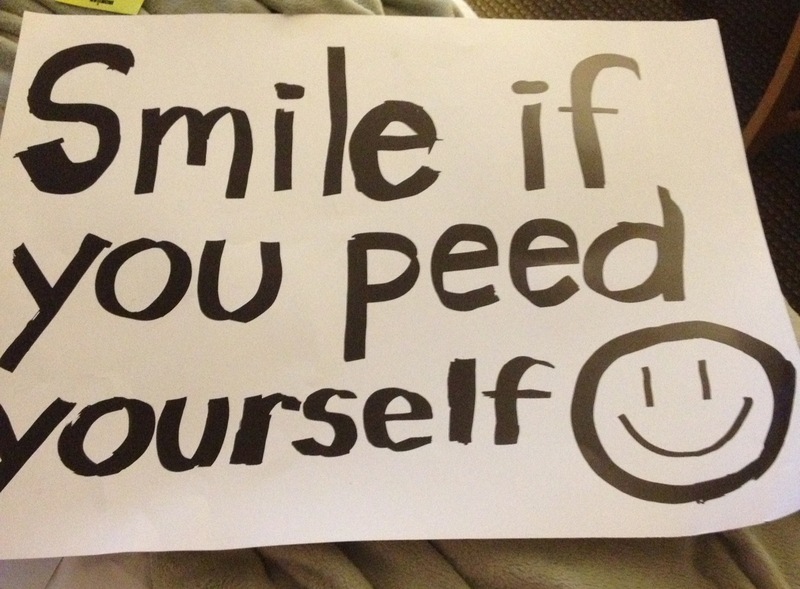 I got a lot of laughs on my Iron- signs but the biggest hit was the “Smile if you peed yourself” sign. A lot of the athletes smiled or commented and most of the spectators had a laugh. It was fun interacting with the athletes and making friends with other spectators (A few even asked to take a picture of me). Even though that was a lot of fun, the best part was when spectators would smile and then would try to convince me that they didn’t actually pee themselves. I suggest bringing a sign to the next race you watch. It is fun for everyone and can help everyone get through the day. What are your best sign ideas? Submit your best sign ideas to win a pair of YoungTri sunglasses!